I’m rockin’ the macarena, gettin’ jiggy wit my business, and loving this new yum-yum recipe. 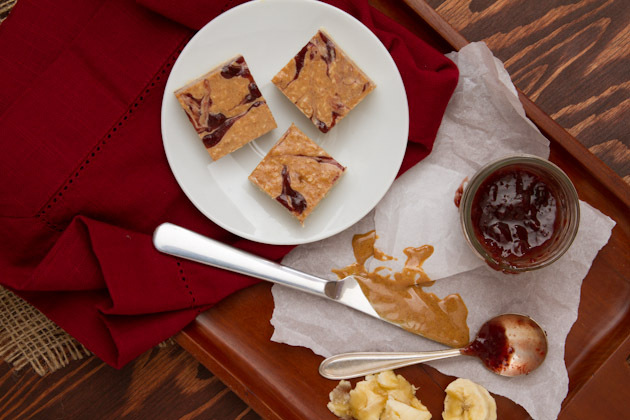 If you are an ultra, mega fan of almond butter, banana, maple syrup and jam, this recipe is going to pull at your heart strings, become the apple of your eye, the cherry on top, your little deal breaker. 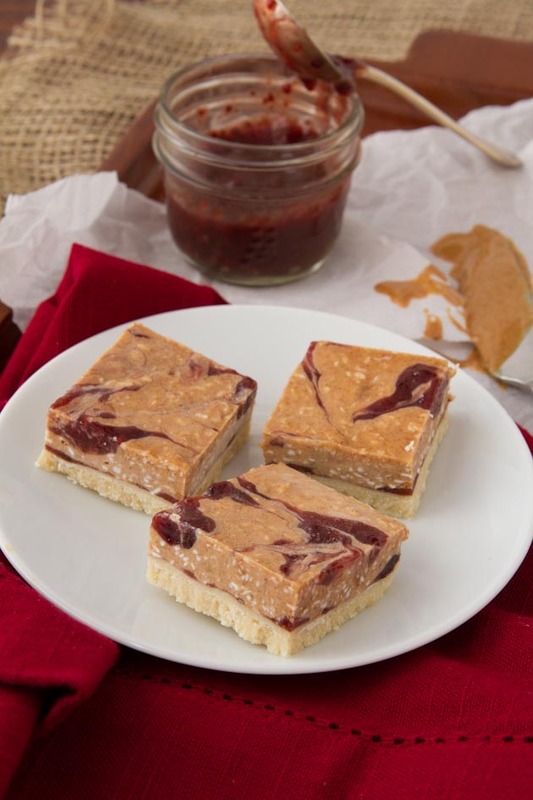 Frosty Jam Butter Squares is the name, and swirls of sweet, healthy goodness is its game. 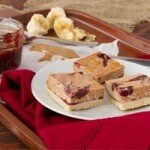 These vegan ice cream bars are made up of layers and swirls of maple syrup, banana, almond butter and jam, smothered on grain-free, vegan shortbread. 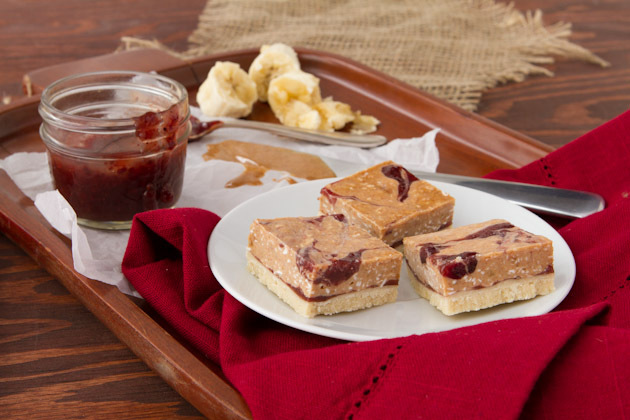 Where did the Frosty Jam Butter Squares idea come from? When Kevin and I make our weekly pancakes, I always treat my stack to a lavish amount of toppings – nut butters, jams, syrups, slices of banana… by the time I’m done with it, there’s no denying that my breakfast looks more like a dessert than anything. Last summer, I made us pancakes as I normally do, but I wondered what a frozen pancake would taste like so before I enjoyed my stack, I threw them in the freezer for an hour. And so, the Frosty Jam Butter Square was born.